I love all the fresh food that comes with summertime. I think I eat healthier this time of year than any other, simply because fresh produce is so cheap and so abundant! One of my favorite things to eat is a good salad. I love how much variety you can get with a salad- and I’ve only recently begun liking sweet salads. I think my last pregnancy had something to do with it with all the cravings I was having, but I have really grown to love a good fruity green salad. Whether it’s a basic spinach with apple, craisins, and feta, or a berry salad with chicken and a homemade berry vinegarette, I love me some salad with fruit;). 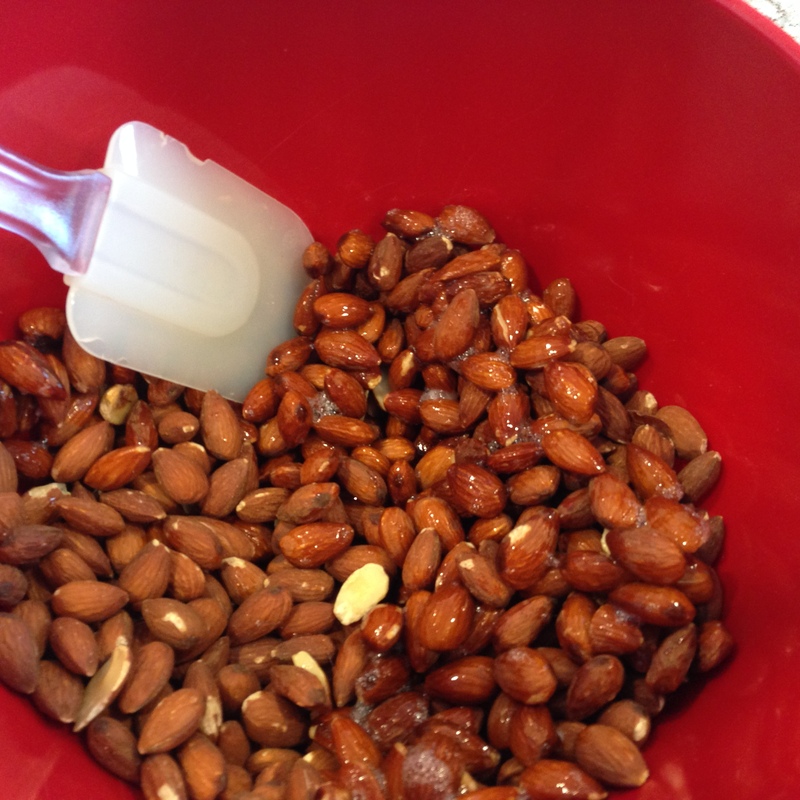 These are quite simple to make, and you could really use this recipe with any nuts you have on hand. This recipe calls for pecans and almonds, but feel free to just use almonds if that’s all you have on hand ;). 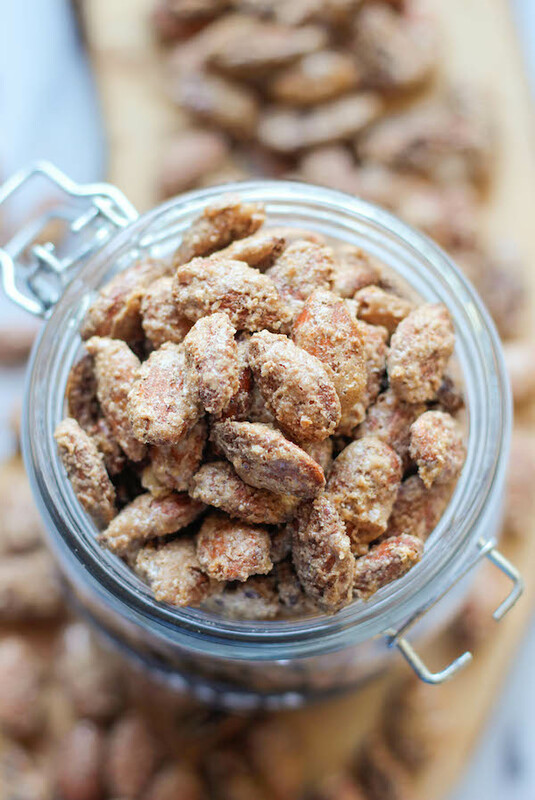 I’m sure this recipe would go great with any nuts you have in your pantry (as long as they aren’t salted-though that might be tasty in a different way as well! ). 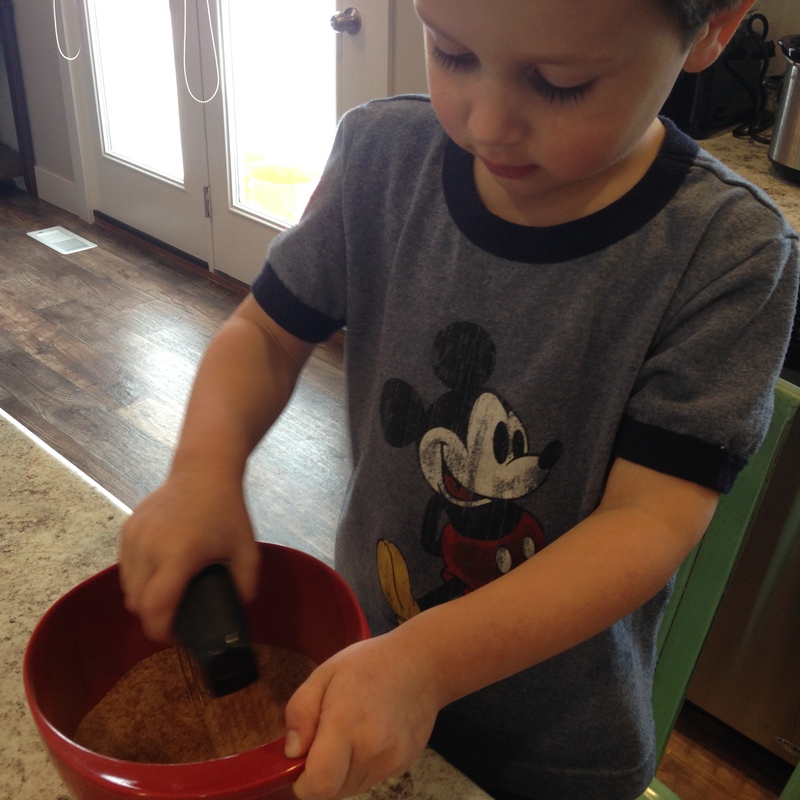 To start, mix together some brown sugar, white sugar, and cinnamon and set aside. Whisk together 1 egg white and 1 tablespoon of water until frothy. 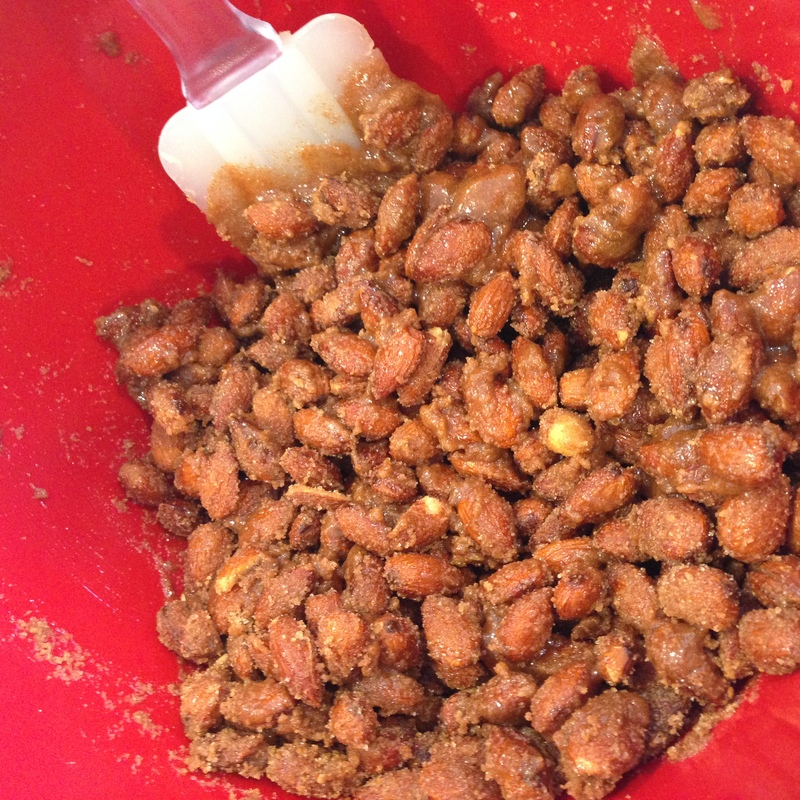 Cover your nut of choice with the frothy egg mixture until the nuts are completely covered. 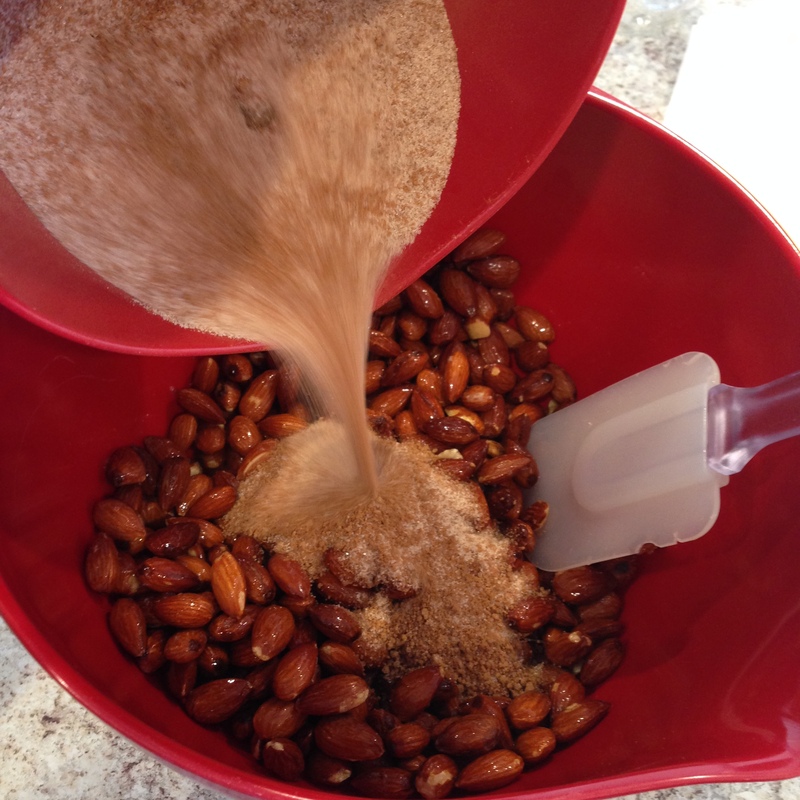 Add your sugar mixture to the nuts and mix them around until they are evenly coated. 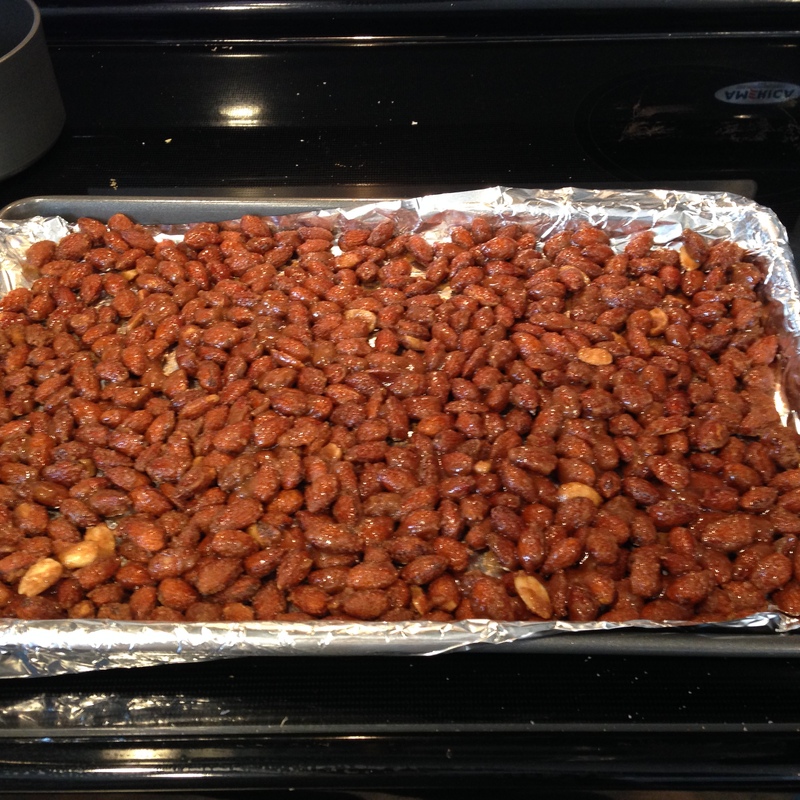 Spread them out on a baking sheet lined with parchment paper and bake them for 25-30 minutes at 300 degrees. Make sure to mix the mixture halfway through the cooking time. Once they are cooled, you can chop them into smaller pieces to add to salads, or keep them whole and snack to your heart’s desire ;). These have quickly become a family favorite treat to keep around the house, and I’m sure they will be for you too! 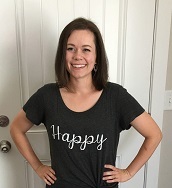 If nothing else, hopefully it gets your kids to eat a few more bites of salad;).